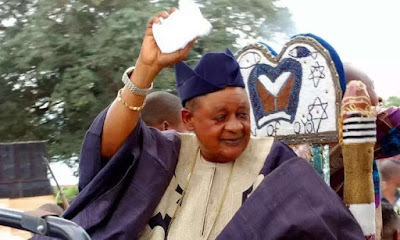 The Alaafin of Oyo, Oba Lamidi Adeyemi, has revealed, reasons he named the national coordinator of the Oodua People’s Congress (OPC) Gani Adams, as the 15th Aare Ona Kakanfo-designate of Yorubaland, was based on his antecedents in the promotion of Yoruba culture. The position was held last by the late Moshood Abiola, who died in 1998. The Oyo monarch said his decision to pick Adams after Abiola’s death was based on his vision for the Yoruba nation. He, however, described Adams as one "equipped by God with the vitality of youth, agility of the long distance runner, unblemished patriotism, and the wisdom of Solomon. Personal Assistant to Adams, Segun Akanni, who confirmed the appointment quoted Adams as saying he was honoured to be chosen for such an exalted position in Yorubaland.